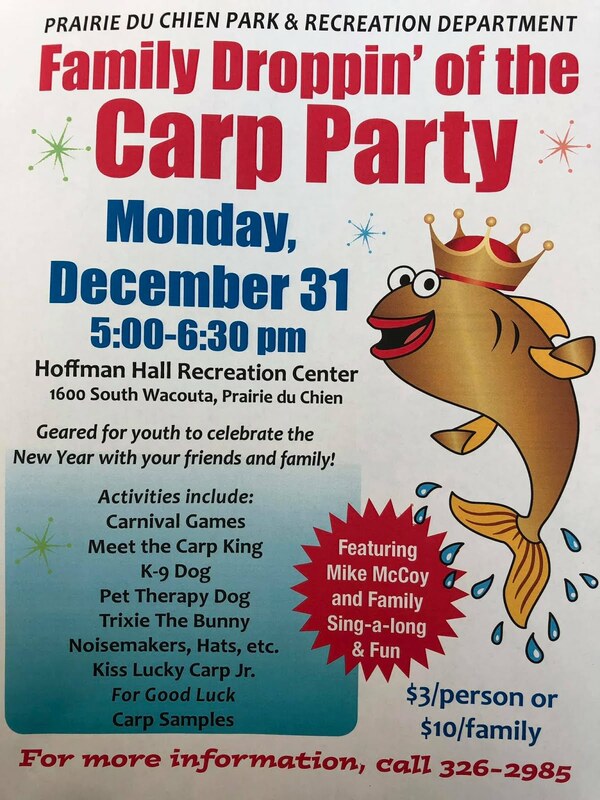 Being the Carp King and Carp Queen of Prairie du Chien's New Year's Eve is no easy task. Carp royalty preside over the Droppin' of the Carp festivities. The royalty also take part in many other celebrations during the year. The annual event began in 2000, with initiatives of Tom and Cathy Nelson, and Randi Kleusner and her spouse. 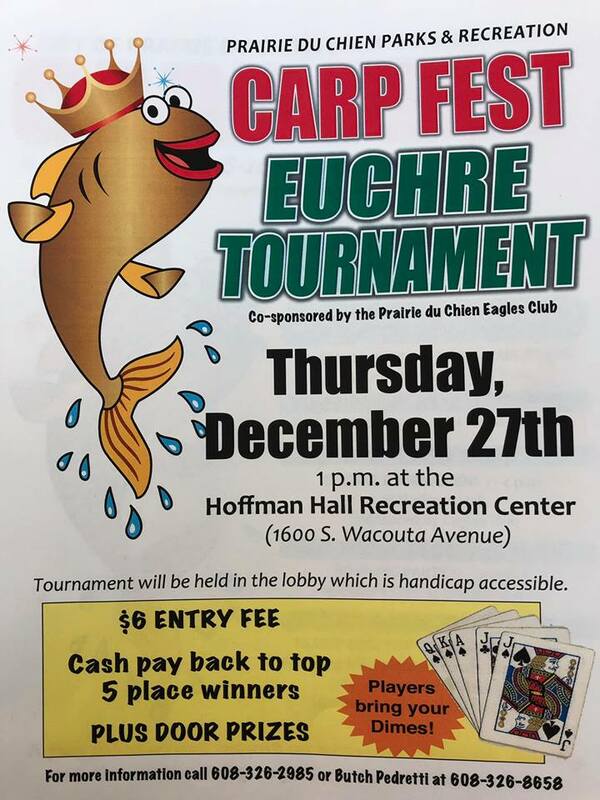 Each year, two very special people were chosen to be the Carp King and Carp Queen. 2013 promises to bring surprise in the Carp royalty? 2013 will go down in the history books as the re-introduction of King Ken and Queen Jan Meyer. 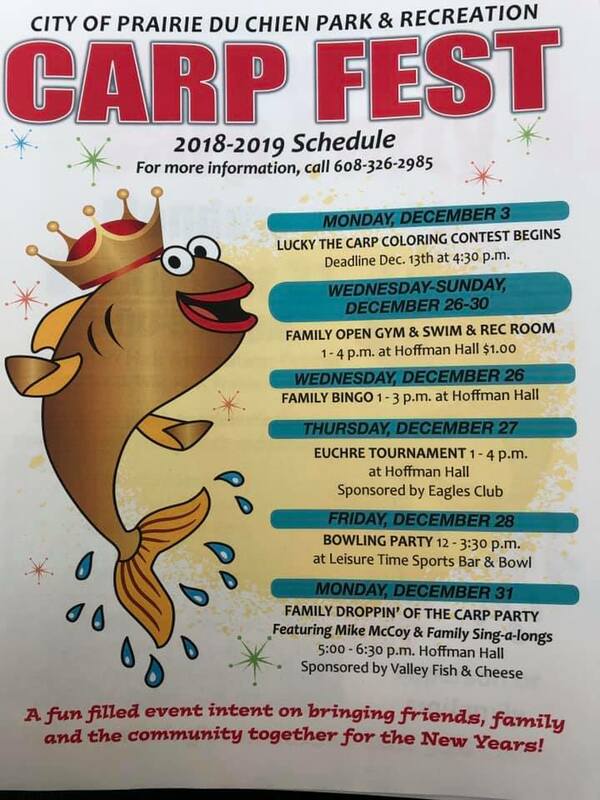 It also reintroduced the #1 Carp Page Kyle W. 2013 brought in a brand new Droppin' of the Carp Court!The court members are nominated by the sponsors of Droppin' of the fest.